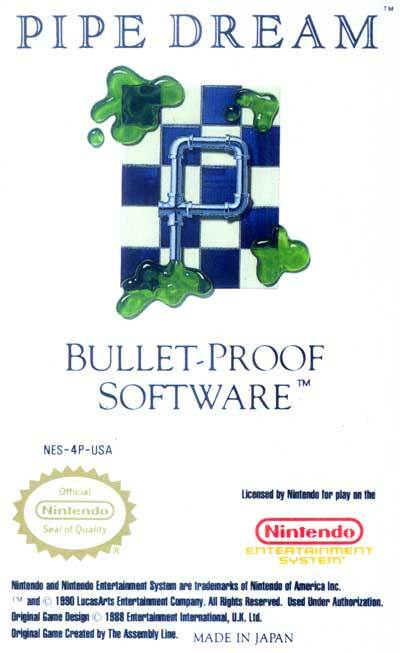 Using a variety of pipe pieces presented randomly in a queue, the player must construct a path from the start piece for the onrushing sewer slime, or "flooz" (the 1991 Windows version's help files refers to it as goo), which begins flowing after a time delay from the start of the round. The flooz is required to pass through a given number of pipe pieces in order for the player to pass to the next round. Some rounds also include an end piece, which must be the end of the pipeline the player has constructed, in addition to fulfilling the minimum pipe length requirement.